Q: How did you find out about Inuyasha? A:I stayed up late one night and watched it. Q: Where did you get your information about the ages on the people? A: Mostly I just guessed but some came from the show itself. Q: Can you help me with my site? A:No You wouldn't want me too anyway. Q: Why did you spell some peoples names wrong? A: If I did you can let me know but most of the names are right. Although there is some controversy on Kikyou's, Kouga's, Inuyasha, and Sesshoumau's names I will not change them unless I have written prof but the creater of Inuyasha that they need to be changed. Q: Can I just send random email to you? A: NO please don't thats a waste of your and my time only e-mail me with things concerning my site and no stupid questions like is Sesshoumaru a girl because I've had that one befor and I don't reply to thos. Q: Are you going to put up a fanart and fanfiction part to your site? A: Yes, if you have fanart you would like me to put up on my site I would be happy to do so. Same goes for Fanfiction. If you have some fanfiction I would be happy to post it on my site. But you have to come to me. Q: Do you have aim, yahoo im, or msn messenger? A: I do have AIM and MSN messenger but I will not give thos things out. The only way you can get that lucky is if you and I have met in person. I will check my email every day so you don't need to worry about getting a hold of me. A: YES I AM A CHRISTIAN AND PROUD OF IT!!! SO NO GOD BASHING EMAILS OK? OK GOOD. Q: Will you put my site on your link section? A: Yes I would be happy to do that just email me your website url and you can bet it will be on my link section with in days. Q: Will you use cuse words on your site at anytime? A: Mabe if I feel the need to. I will also be posting Naraku's jerk of the week and Ayame's jem of the week meaning the bad emails i get and the good ones. In thos people my cuse in the emails but i will beep them out as much as I can. 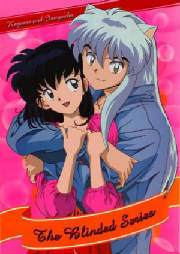 BECOME A INUYASHA FAN GIRL/BOY TODAY!! !